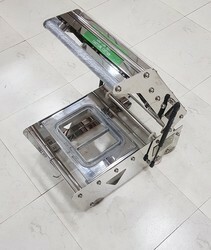 We are offering a wide range of Portion Meal Tray Sealing Machine. 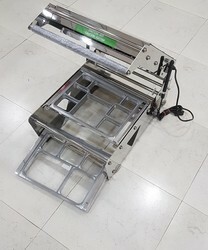 We are offering Sealing Machine. 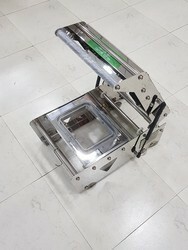 We are offering a wide range of Rectangle Food Container Sealing Machine. We are the Leading Manufacturers,Traders and Suppliers of Packing Machine. Top sealing machine manual packing machine manufacturer and exporter of machines. We are offering a wide range of Round Food Container Sealing Machine. We are manufacturing a wide variety of Two Portion Sealing Machine which are enlisted below. With the minimum power consumption and maintenance-free quality, we are manufacturing the high-quality Plastic Container Packaging Machine. 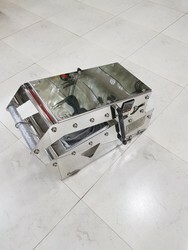 It can seal containers made of PS, PP, EPS, etc. and are widely used in food, beverage, and medical industries. 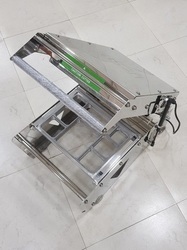 The offered machine is fabricated with the best quality wires, innovative techniques and high-grade stainless steel, aluminum and other materials. We ensure that these Plastic Container Packaging Machines are beautifully designed, easy to use, durable and available at competitive rates. 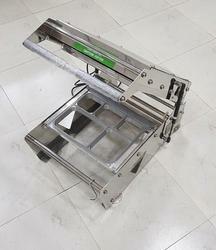 We are offering a wide range of Food Tray Sealing Machine. 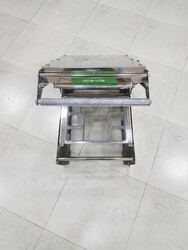 We are offering Meal Tray Sealing Machine. Containers Size 150gm, 200gm, 250gm, 300gm, 350gm, 400gm, 480gm, 500gm, 600gm, 750gm, 1000gm. 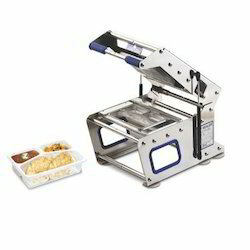 We are a top-class firm with years of knowledge in offering Thali Sealing Machine to our patrons. This product is fortified with quality assured components and provides precise results due to its exceptional calibration system. All our products are fabricated under strict supervision for skilled professionals using optimum-grade raw material. Designed in detailed manner, this product is delivered within prearranged time frame. Tray Size 400gm, 500gm, 800gm, 1000gm, 1250gm, 1500gm & 2 portion tray also. 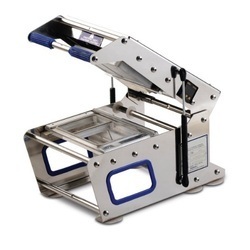 We are counted amongst the well-known names in the industry, offering a functionally efficient assortment of Rectangle Tray Sealing Machine that is applauded for easy calibration and optimum performance. Our complete product range has the supreme strength and is highly effective in nature. These products are designed by making use supreme quality material which we procure from certified vendors. Offered product is praised for accurate results and is easy to operate. Tray Packer offered comprise automatic Top sealing machine packaging machines that meet automatic packaging of products of some kind. 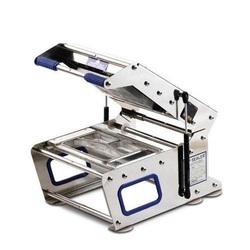 We are offering a wide range of Heat Sealing Machine. With the minimum power consumption and maintenance-free quality, we are manufacturing the high-quality Plastic 8 compartment Packaging Machine. It can seal containers made of PS, PP, EPS, etc. and are widely used in food, beverage, and medical industries. 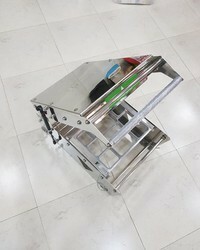 The offered machine is fabricated with the best quality wires, innovative techniques and high-grade stainless steel, aluminum and other materials. We ensure that these Plastic Container Packaging Machines are beautifully designed, easy to use, durable and available at competitive rates.